Jerry has been serving Crabapple since 2003. He is a graduate of the University of North Carolina, Chapel Hill and Luther Rice Seminary, and he is currently pursuing a DMin in Christian Preaching from Beeson Divinity School. 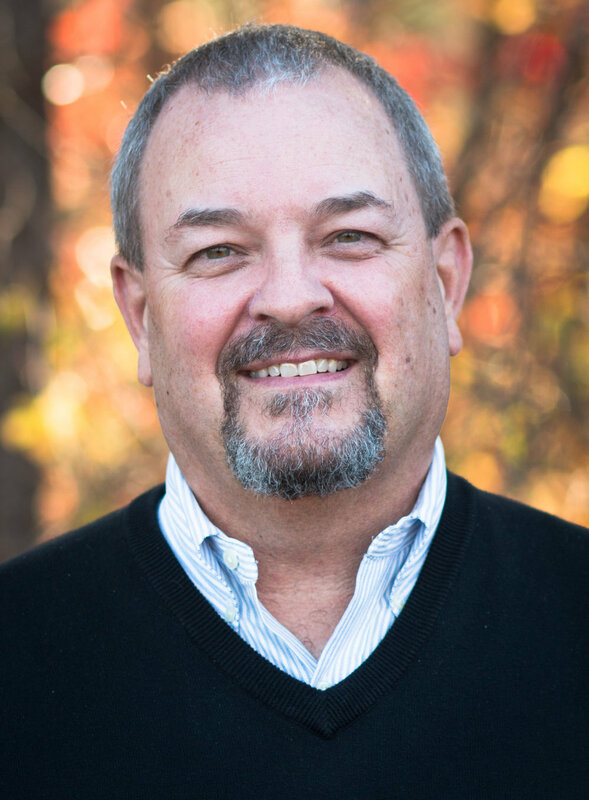 Jerry has been in ministry for over thirty years and has pastored churches in North Carolina, Oklahoma, and Georgia. Jerry is passionate about seeing churches conformed to the Word of God. He also has a heart for international missions. Jerry has participated in mission works in India, England, Africa, and the Middle East. He and his wife Karen have three daughters, Amber, Amanda, and Andrea. James grew up in rural Paulding County, GA. He accepted Jesus as his personal Savior in August of 1962. He attended Berry College, West Georgia College, and the University of Georgia. He is retired from Cobb County Schools, where he was a teacher, coordinator, and administrator. James and his wife Kathy reside in Canton, GA. They have three daughters: Stephanie Powell and family serving in South Asia; Jennifer Farris and family live in Medford, OR; and Jennifer Smathers and family who live in Woodstock, GA. James has been a member of CFBC since August 2004. He has served in the following areas: Deacon, Deacon Chairman, Deacon Nominating Committee, Weekday Transition Team, Visiting Homebound Group, Smile Team, and Constitution Revision Team. He is a member of the Celebration Bible Study Class and has been serving as an elder since 2017. Mark and Wanda Grigg have been active members of Crabapple First Baptist Church since 2002. Mark came to saving faith in Jesus Christ at the age of seven. The Grigg’s have two adult children both of whom were discipled at Crabapple and are faithful members of their local churches. Mark has served as a member of the Constitution Revision Committee, Pastor Search Committee, led the On Mission Team, deacon, church moderator, and co-teaches the Lifechange Sunday School Class. He has been on numerous mission trips and has traveled extensively in Europe, North Africa and the Middle East, South America, and East Asia. 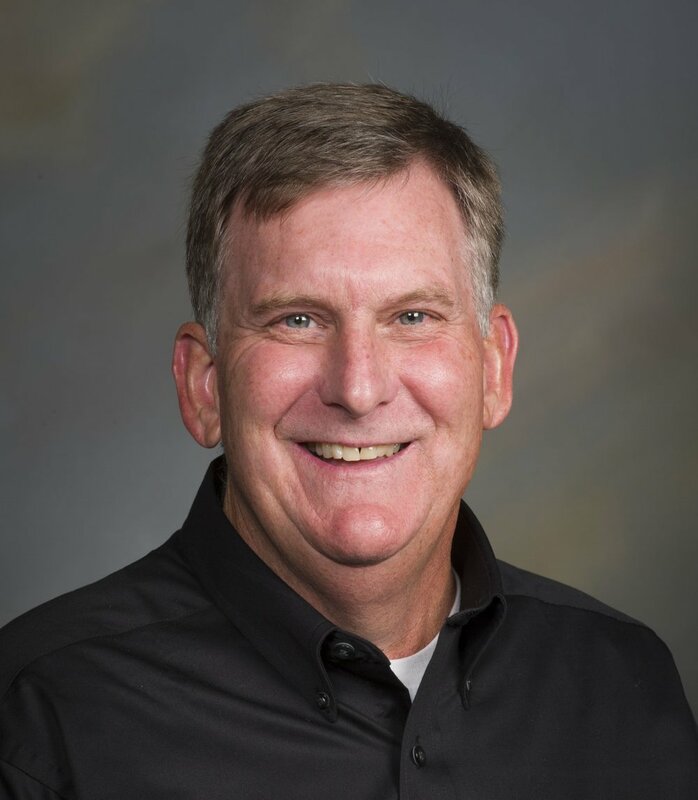 Mark’s work career includes 23 years in international business and the past 16 years in vocational ministry with the International Mission Board and now with Lifeshape. Mark completed his undergraduate degree from North Carolina State University and his Master of Arts in Biblical Studies at Dallas Theological Seminary. Mark has been humbled to serve God’s people at Crabapple FBC as an Elder since 2017. Paul Harrell has been serving the Lord at Crabapple since 2001, and has served as an elder since 2017. Paul came to faith in Jesus as Savior and Lord at the age of 8 at the First Baptist Church in Jesup, Georgia and was obedient to follow in believer's baptism shortly thereafter. Paul is married to Diane and both attended and met at Southern Polytechnic College in Marietta, GA, each earning degrees there. Paul has served in many of the children’s ministries of Crabapple, leading in ministries like Awana, The Next Level, Truthseekers, and Keeper’s of the Faith. Paul and Diane have also served in multiple evangelism ministries such as FAITH, Two Ways to Live, and The Way of the Master, and have also led teams on short-term mission trips to Senegal. Paul has previously served as a deacon, including Deacon Chairman on two occasions. Don is originally from North Carolina. He accepted Jesus Christ as Savior as a young boy. After graduating from the University of North Carolina at Chapel Hill, he moved to Atlanta to start his business career. He met his wife, Donna, a couple of years later and they were married. After their marriage, Don graduated from Georgia State with his MBA in finance. He and Donna were invited to visit Crabapple First Baptist by Ken and Shirley Howell. They joined CFBC in 1996 and have been members since that time. Don has been an adult bible teacher for over 20 years. He has held various positions while at Crabapple including Deacon chairman, Human Resource team member, church Moderator, and he has served as an elder since 2017. He and Donna live in Roswell with their two daughters. David and his wife Vivian have been members of Crabapple since March of 1987. Since then, he has served as a deacon, a Sunday School teacher and he has sang in the church choir. Additionally, David has served on numerous committees and has participated in several mission trips over the years. He currently teaches a men's Sunday School class. Having been ordained a deacon in November of 1972, David has served in Baptist churches in Louisiana, Alabama, North Carolina, Kentucky and then here at Crabapple. He made a profession of faith and was baptized as a 13 year old boy at Parkview Baptist Church in Shreveport, Louisiana. Here he met Vivian in the youth group and they were married in October of 1964. God has blessed their lives with two adult sons, one daughter-in-law and a granddaughter, all who are followers of Jesus Christ. After working for 30 years in corporate America and owning a small business for 10 years, David is enjoying retirement and serving the Lord and His church. He was called and affirmed as an elder in 2017. Greg has been serving Crabapple since 2016. A native of Miami, he is a graduate of Florida State University and Beeson Divinity School. Having served churches in FL, AL, TN, and GA, he has a passion for leading people to God's Word through multigenerational worship encounters. Greg sings in the Son of Jubal (a Georgia Baptist Choir), and also serves on the Steering Committee for Experience Conference, a national worship event that equips and inspires those serving in worship ministry. Greg and his wife, Susan, have been happily married and partners in ministry since 1997, and are blessed with two daughters, Elaine and Katherine. Luke is originally from Woodstock, GA and grew up at Crabapple First Baptist Church. After graduating from Sequoyah High School, he attended Truett-McConnell College and received his Bachelors in Biblical and Theological Studies. Luke served as a summer missionary for Crabapple in Dakar, Senegal in 2012. After that, he served as the Student Ministry Intern at Crabapple from 2012-2014. Luke married his wife Jacqueline in October of 2013. They moved to North Carolina in the Fall of 2014 so that Luke could pursue a Master of Divinity from Southeastern Baptist Theological Seminary. In July of 2015 they welcomed their first son Isaiah into the world, and in September of 2017 their second son, Judah, was born. 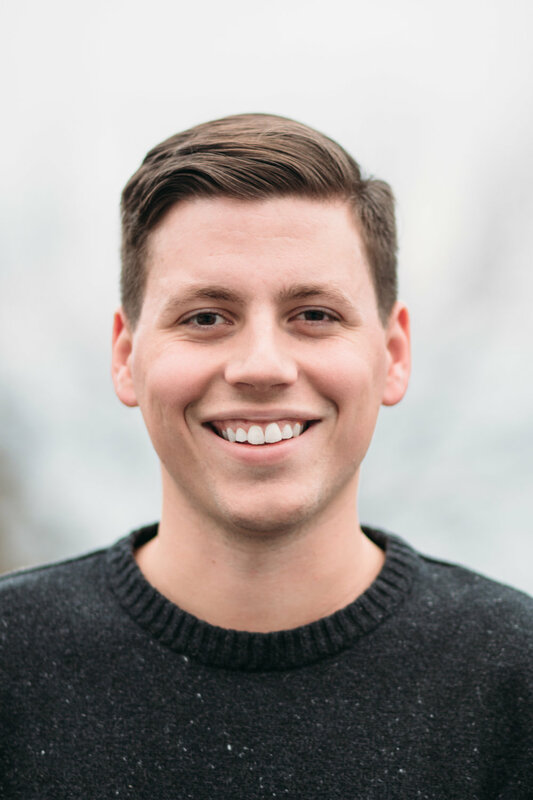 Luke has been back at Crabapple serving as the Associate Pastor for Students & Missions since June of 2017. Carly is from Dawsonville, Georgia. Carly has been following Christ since 2008. She and her husband Josh were married in May of 2016. Carly has enjoyed serving Crabapple as the Administrative Assistant since March of 2018. Bobby is a native of Georgia having grown up in Sandy Springs. He graduated from the University of West Georgia where he met his wife Barbara. In addition to serving as the Financial Assistant at Crabapple since 2017, Bobby also works at Cornerstone Associates and Cain Sales where he is responsible for the financial aspects of the company. Bobby has been a member of Crabapple First Baptist since 2007 and is currently an active deacon. He has been married to his wife Barbara since 1988 and they have three daughters. Allison has served as the Preschool Director at the Crabapple Weekday Preschool since 2017. She graduated from the University Of Georgia with a degree in Early Childhood Education/Child and Family Development. After graduation, she married her high school sweet heart, Paul, and they have been married since 2004. They have two boys, Brayden and Rylan, and have lived in Alpharetta since 2016. Allison taught Kindergarten and 1st Grade in Fulton and Cobb County Schools for a total of 13 years. The 2015-2016 school year was her last year teaching public school, and then she joined the teaching staff at Crabapple Weekday. She taught the Transitional Kindergarten class in the 2016-2017 school year before becoming Director in the Summer of 2017. Allison also organizes and directs the preschool ministry at Crabapple. Shawn has served as the Assistant Director at the Crabapple Weekday Preschool since 2011. She has been married to Bryan since October of 2002. They have two children, Ansleigh and Micah. They have been members at Crabapple since 2003. Shawn's first experience with the Crabapple Weekday Preschool was when she enrolled her daughter in 2007. She loved it so much she decided to join the staff in 2011. Sandy has been serving as the Food Services Director at Crabapple since 1992. Before that, she served in a similar role at a church in Florida. She has been married to Jim since 1968, and they have 3 sons and 3 wonderful daughters-in-law. They also have 8 awesome grandchildren, 4 boys and 4 girls. All of them live in the area and attend Crabapple. Esmeralda is originally from Uruapan Michoacan, Mexico and has lived Georgia since 2000. She has one daughter who was born in 2004. Esmerelda has been serving at Crabapple since April of 2017.